Oh yum - that Tortilla soup looks amazing! Thank you Nikki! I hope you get a chance to try those popper! 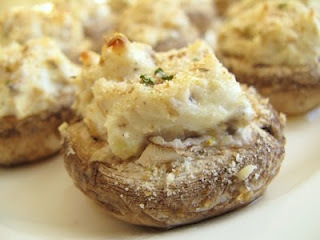 Thanks so much for featuring my stuffed mushrooms on your blog! I think I need to check out the poppers and that soup as well! Everything looks so yummy. I think I'll take an entire sheet pan full of those stuffed shrooms!